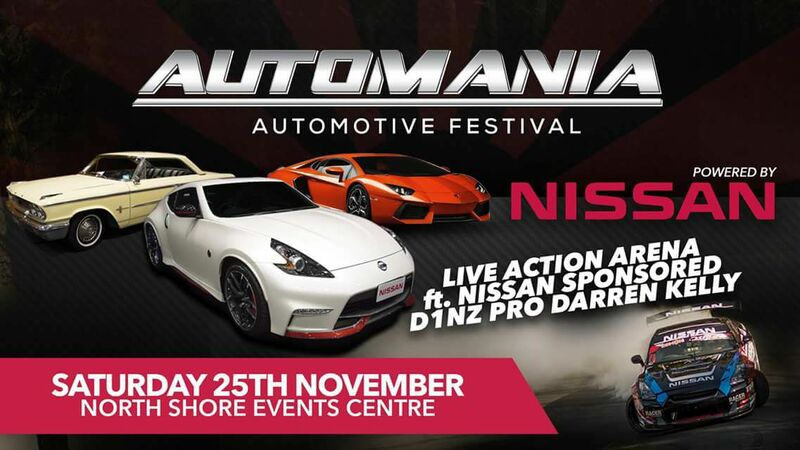 New Zealand's most diverse Automotive Festival is back for 2017 with a whole bunch of exciting features and attractions in a new, improved show format. Witness true automotive culture in a genuine festival environment where you will experience the key ingredients for the ultimate car lover's day out. ★ Plus a whole bunch more features and entertainment to be announced. A family friendly event with tickets starting at $10 with kids under 12 FREE. Car Clubs and individual competitors will see a revised show format this year. Listening to competitor feedback from last year, there will be three different types of show areas which will be available to both clubs and individuals catering to all options, from Premium Indoor Show & Shine, to a revised outdoor Street Show section with multiple options of display for clubs and individuals. Premium Indoor Show & Shine: The ultimate display option for the serious show competitor. Club Entries and Individuals will have multiple options for display including show space location and display size. We also welcome and encourage Special/Feature Display areas. Premium Street Show: Our most popular Street Show option year in, year out. This is where clubs and competitors battle it out for bragging rights. With multiple award categories in a judged environment, you will experience the full festival atmosphere and culture that is the Automania Festival. This section sells out extremely quickly. Street Show Hardpark: For the car guy/girl/club that wants to show off their pride and joy at Automania Festival in a non-competitive environment with no strict regulations around entry and exit times. Upon purchasing your vehicle exhibitor registration the exhibitor agrees to the following stipulations. All Exhibitors must accept direction from Automania and Events centre management, event officials, judges and fire wardens during the duration of the show including pack in/pack out. Failure to comply with direction/regulation will see instant dismal from the event. Automania Automotive Festival Ltd reserves the right to refuse entry/remove exhibitors failing to conduct themselves in a reasonable civil manner that is consistent with the nature, reputation and vibe of the festival. We will have a strong security presence during the festival who will reserve right of refusal, entry & removal also. WOF & Registration is not a requirement for display vehicles however we do recommend exhibitors have at least 3rd party insurance as Automania Automotive Festival LTD takes no liability for any damages or losses at the event. Exhibitors must display/secure their vehicle as they see fit for a busy festival environment of general public spectators. Stay tuned to the Event page and our Facebook page for all the latest show feature announcements and updates leading up to the show. A Family-friendly event, no dogs or alcohol.